Our registrations forms are not showing us words, just letters (I've attached a screenshot below.) Last week we were having an issue with the forms not loading. We finally have access and now the forms are not legible. Any ideas on whats happening? The submission was submitted when your form's encryption setting is on. Please note, the default filename of the private key is jotform.key. You might find it in your download folder. Feel free to contact us again for further assistance. I checked on the forms setting and it is saying the encryptions are off and turned on "no" (will insert a screenshot). Any other ideas? From what I can see on your form's submissions, when submissions were received, the form was encrypted. As my colleague has already mentioned, you need to have a key to decrypt submissions. Do you have one? When reviewing submissions, the key should be prompted. If you are not asked for a key automatically, please try clearing your browser cookies or reviewing submissions via private window(incognito mode). 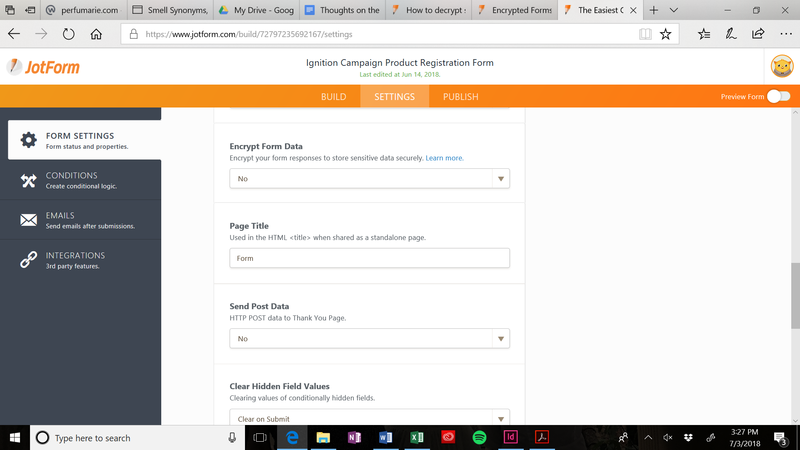 Encryption is turned off means that your form will receive next submissions as not encrypted. Thanks for the clarification! I'm still unsure where to enter in the key? Could I get further details on how to go about it? I open "View submissions" but no pop-up shows for the key. I open "View submissions" but no pop-up shows for the key. That is because the Encrypt Form Data option is set to No in the form settings. In order to be prompted for uploading a key, you must set the Encrypt Form Data option to Yes. 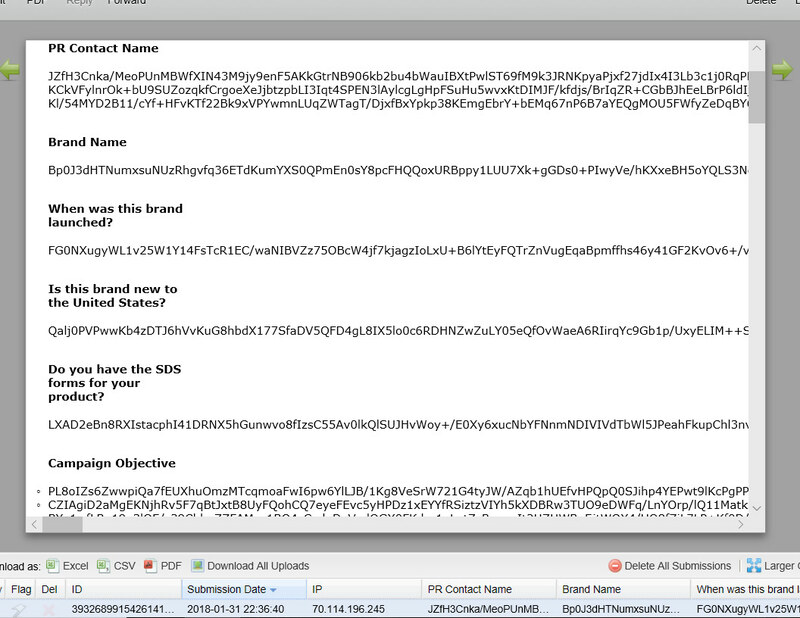 The form submissions were made while the form was encrypted. If you have lost the private (decryption) key, unfortunately, there is no way to decrypt the submissions. If the pop-up to upload the private key does not show up even after setting the Encrypt Form Data to Yes, use your browser in Private Mode (Incognito) or use a different browser and you should be prompted to upload the private key (the one that you have downloaded when you first encrypted the form). Unfortunately, we do not provide support over the phone, but we are always glad to assist you here. I can see that account, which owns the form you shared, has 3 sub user accounts. Have you checked with them if anyone has enabled form encryption? We do not encrypt forms when switching servers, where form data is stored. As it was instructed, have you tried setting form to Encrypted for the key to be prompted? By default, the key should have been saved to Downloads folder.